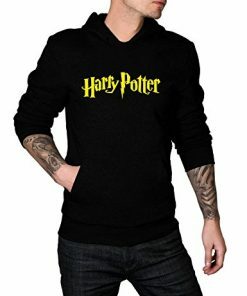 Harry Potter Black Hoodie. FREE WORLDWIDE SHIPPING! Harry Potter logo on the chest to make you stand out as a true Harry Potter fan. 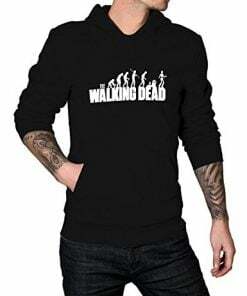 This sweatshirt meets my expectations. I must praise the material that is soft and does the job. The emblem is beautiful and suits my zeal of Harry Potter. I give full stars for the good quality and excellent service. Everything was good but i want to specially thank the delivery team for their outstanding work, i am a regular buyer and every time my order was delivered before time. 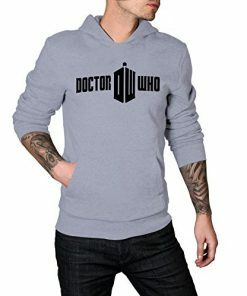 This hoodie is a must-have outfit for all the fans. It has the logo of the Harry Potter featured in yellow color. The Men’s Harry Potter Hoodie is available in black color and consists of a hood with adjustable strings. Crafted from a cotton and polyester mix, it also has one pouch pocket. The outfit gives stylish looks when worn.